Another piece that I got from the hard rubbish collection and its current state is unknown because by the time I realised that it needs a specific keyboard and mouse it was too late to go back to look. I also wouldn't have been surprised if there had been a monitor for it there as well. In March 2006 I gave this system away to a collector who had the time to do something with it. 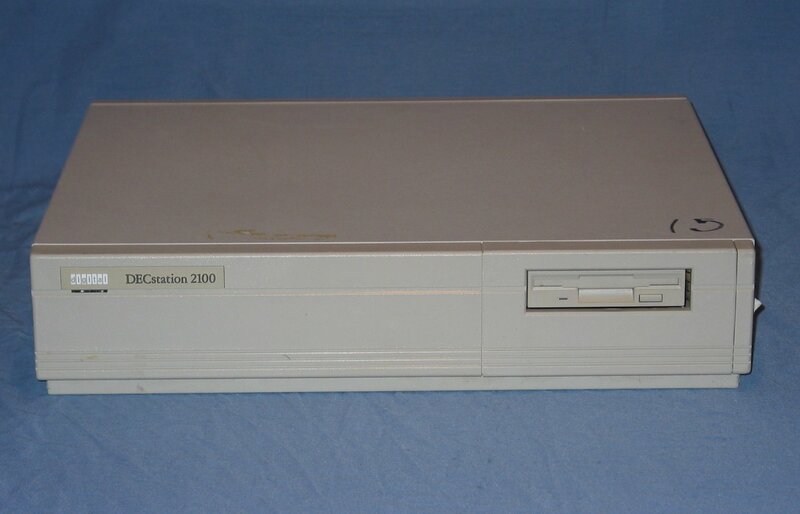 The front of the system unit features a floppy drive on the right hand side. 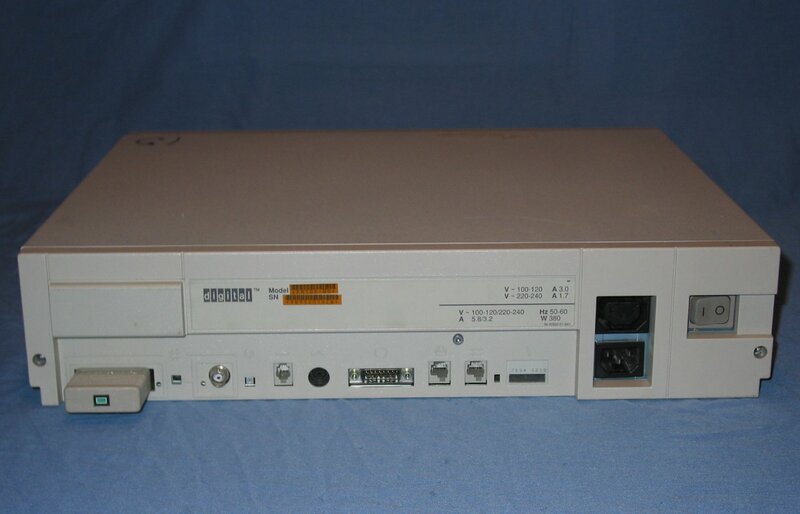 The rear of the unit with the standard assortment of ports across the bottom. 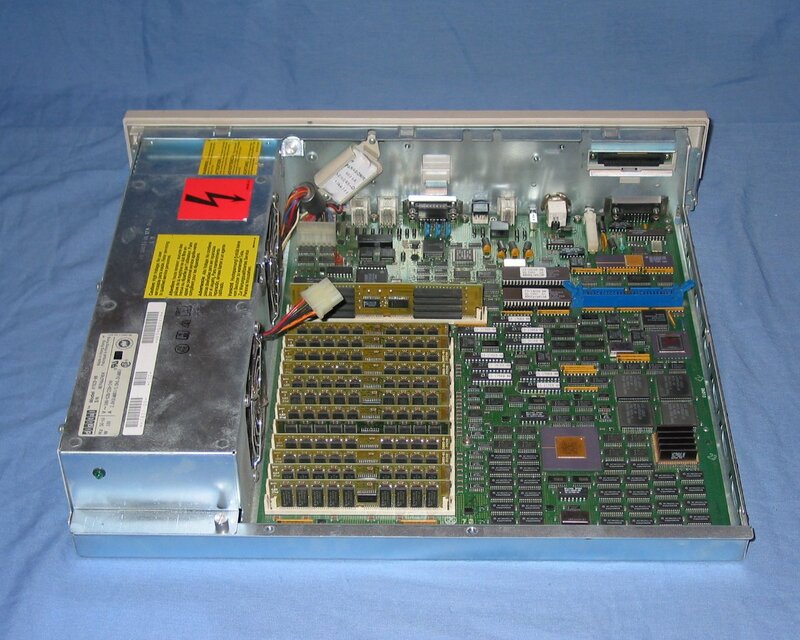 On the upper left beneath a cover is the external SCSI port. 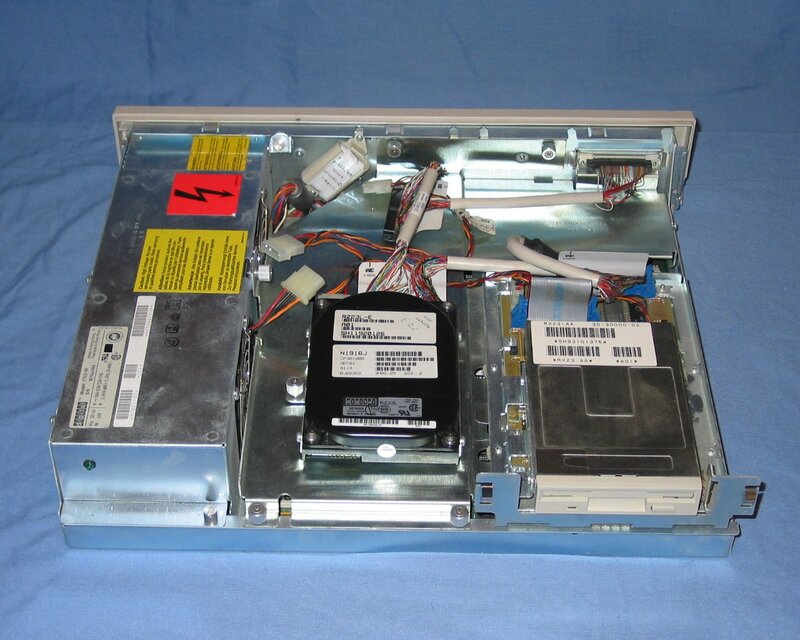 Removing the metal case reveals the power supply (on left), SCSI hard drive (middle) and floppy disk drive (on right). Undoing a few thumbscrew and disconnecting two connectors (power and SCSI) allows the drive tray to be removed in order to expose the logic board. A close up of the logic board to feature the CPU. 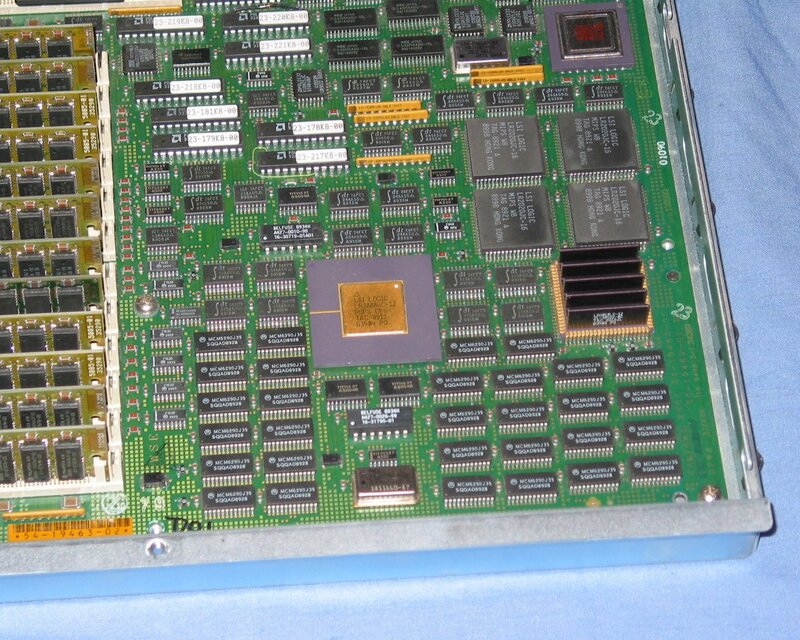 On the left (mostly out of frame) are the fully populated memory slots. The drive tray removed from the case. 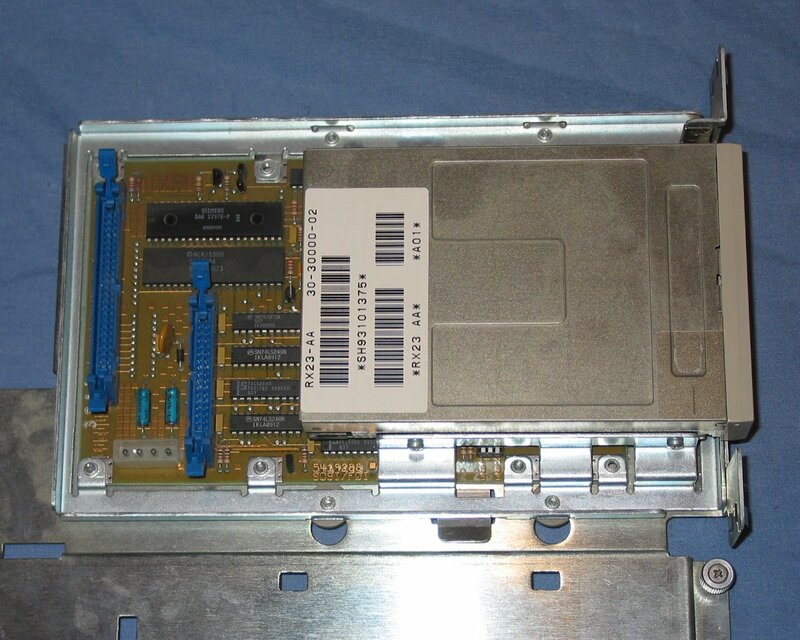 On the upper left is the single power connector for all the drives and on the upper right is the SCSI connector for the back panel. 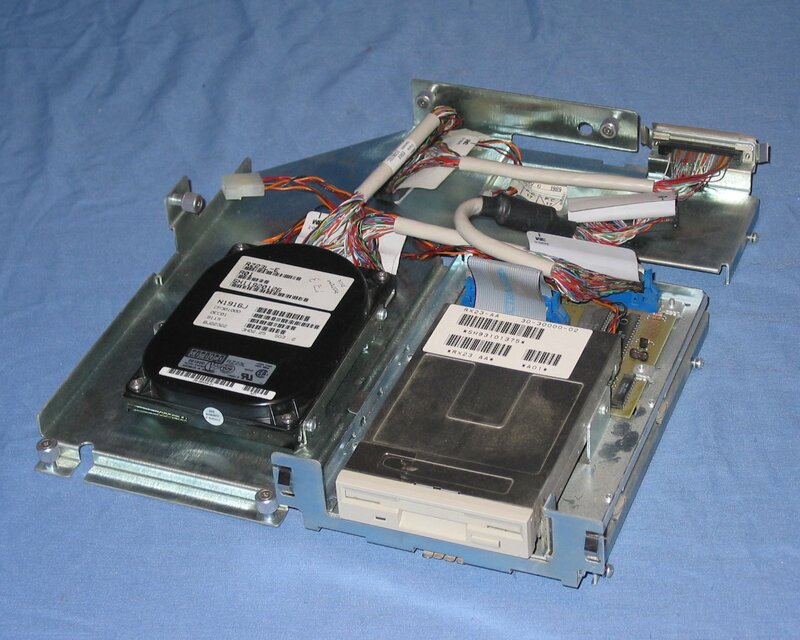 A closeup of the floppy disk drive with the cables removed to show the small logic board that appears to connect a standard floppy drive to a SCSI interface.